While upgrading Windows 10 on PC from a previous version or even a previous edition, you may get this very common 0xc1900101 error. Usually, this error pops up and the update process is interrupted, and you are left behind with the older version of Windows. The main reasons behind 0xc1900101 Windows 10 error could be either faulty drivers on your PC, an Antivirus blocking the upgrade, insufficient space on PC, broken system files, or something else. The most frequent of the above-mentioned error codes that show up while updating Windows 10 are 0xC1900101 0x20017, 0xC1900101 0x30018 and 0xC1900101 0x40017. There are several ways to go in order to fix 0xC1900101 errors showing up, then carrying out Windows 10 update. The method that works the most is updating drivers. Let us check out the methods, one at a time. Begin with the first method to fix the issue, then proceed so on. Step 1: Open Device Manager on your PC. For this, press Windows + X keys on your keyboard. From the menu that appears, click on the Device Manager option. Step 2: In Device Manager, now you need to update device drivers. You can begin by updating the graphics driver first, then network, audio, and motherboard drivers. 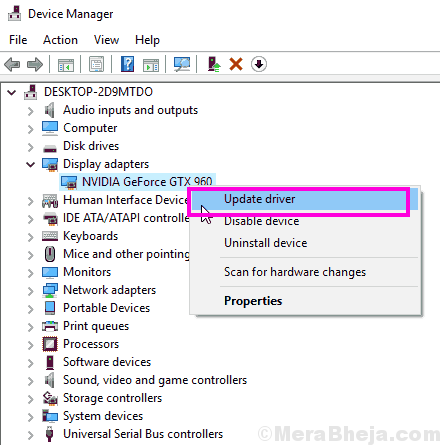 To update drivers, expand the respective category, then right click on the device driver. From the right-click menu, select the Update Driver option. Step 3: A new window will appear that will ask you how you want to search for the driver. 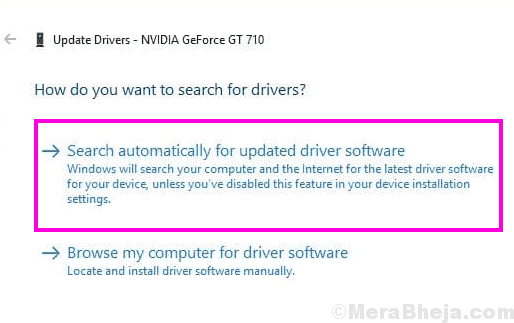 Here, select the Search automatically for updated driver software option. The tool will begin looking for a new version of the driver and install it if found. Step 4: Repeat the same for network, audio, and motherboard drivers. Once the drivers are updated, restart your PC then try to update Windows. Still getting the same 0xC1900101 error? Follow the same steps and update the rest of the drivers as well, and then try to update Windows. If this doesn’t solve the problem, try the next method. Many users have reported that removing Antivirus and Antimalware software from their PC did the work for them. So, if you are unable to update Windows 10 and getting 0xC1900101 0x20017, 0xC1900101 0x30018, or any such error, then carry out this process. No, you do not have to remove your Antivirus or Antimalware indefinitely. Just uninstall them, then try to update Windows 10. If you are successful, then reinstall them to protect your computer. In case, you are not able to fix the issue by removing these software, just keep them uninstalled till you solve the problem. You can always reinstall them later on. In case, you are using any software that locks files or hides files, and any File Encryption software, they could be causing the 0xC1900101 error as well. According to user reports, you should remove them as well from your PC to solve this error. Again, the uninstall would not be a permanent one. You can uninstall them, then try to update your Windows. When the update is successful, you can always reinstall them on your PC. If this method didn’t fix 0xC1900101 error, then do not reinstall these software yet. Wait till you are successful, then reinstall File Lockers and Encryption Software afterward. Before you try to update your PC, you should make sure that there is enough free space on your hard drive, especially the C Drive, where Windows is usually installed. 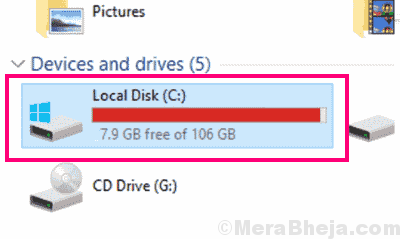 Ideally, the free space that should be available in your PC’s C drive is around 20 GB. If you have less space on your PC, you will probably get the 0xC1900101 Windows 10 error. If you do not have that much space free on your PC, you can always clear up some space. There are always junk files and unnecessary files on Windows that build up and occupy space. For this, you can use delete temp files to clear space on windows 10 instantly. If you are specifically getting the 0XC190010 0x20017 error while updating Windows 10, then there are chances the extra RAM on your PC is causing it. So, if you have an extra RAM installed on your PC, you might want to remove it and proceed with the update. Additionally, you can also try to remove your Ethernet Network Card if you can. After removing these hardware, try to update Windows 10 and see if you still get the same error. Note: If you do not know how to remove extra RAM or Ethernet Network Card, you can totally skip this step. Or, you can also take help from a geek friend of yours who knows about this to remove extra RAM and Network Card from PC. Also, if you use Laptop, you should be able to remove the extra RAM from it, but the later one isn’t a viable option. Step 1: On your keyboard, press the Windows + X keys simultaneously. 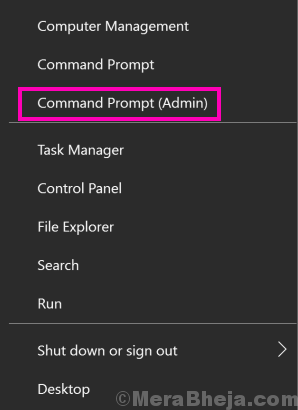 From the Win+X menu that opens, click on the Command Prompt (Admin) option to run Command Prompt in Admin mode. The SFC scan could take a while to complete, which can be around 15 minutes. So, do not interrupt the scan while it’s running. Once the scan is complete, simply restart your PC. After the restart, try to update Windows 10. If you are getting the 0XC190010 error, try the next method. After running the command, wait until the scan is complete. Once done, restart your PC, and after that, try updating Windows and see if you are able to do it successfully. If not, try the next method. Step 1: Make sure that you are logged in as Administrator on your PC. Press Windows + R keys to open the Run box. In the Run box, type msconfig and press the Enter button. Step 2: This will open the System Configuration window. Here, go to the Services tab. At the bottom left section of the window, you will find an option to Hide all Microsoft services. Select that option, then click on the Disable all button on the right. Click the Apply button. Step 4: Here, you will find a list of programs. Click on the programs one by one, and press the Disable button for each one of them. 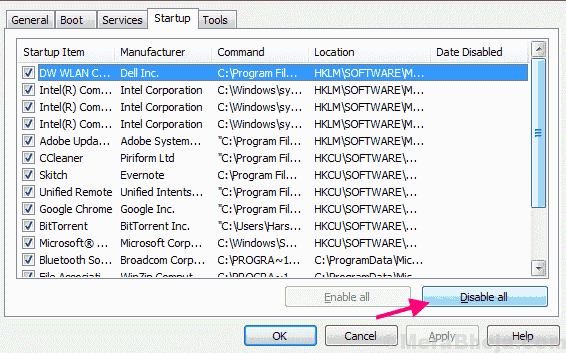 In some versions, you may also get a Disable All button to disable all startup programs at once. 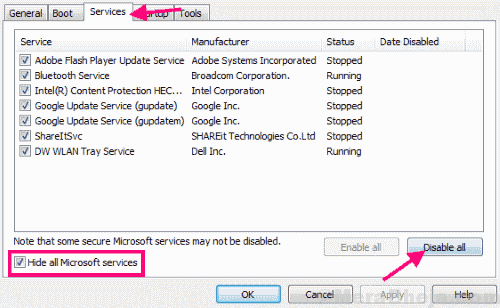 Here, you can disable most of the programs that are not actually required for normal Windows startup. Step 5: Now, close the Task Manager window and return back to the System Configuration window. Click Ok to apply the changes, then restart your computer. This will clean boot your PC this time. After restarting your PC, try again to update the Windows OS on your PC. There are chances that you will not get the 0xC190010 error Windows 10 error. If none of the above-mentioned methods worked, then upgrading BIOS might help to fix errors like 0xC1900101 0x30018, 0xC1900101 0x20017, 0xC1900101 0x4000D, etc. BIOS is not something you play with every day, so you need to be careful while carrying out this method. No, it’s not that difficult to update BIOS, but a wrong move may put your PC to sleep forever. To update BIOS, you must first find out what is the current version of BIOS on your PC. After that, you will have to check if an updated version of BIOS is available. Another important thing to do before proceeding with BIOS update is to keep your laptop fully charged. In case, you are a desktop user, make sure that your PC has a connection to an uninterrupted power supply. Sudden power cut on your PC while updating BIOS might prove fatal. 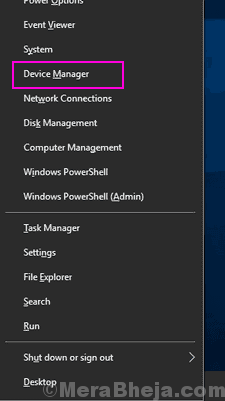 Step 1: Open the Start menu by clicking on the Start button, then in the Start search bar, type System Information. From the search result, click on the System Information option. Step 2: This will open the System Information window on your PC. From the list that appears, find the BIOS version option in the System Summary section. Step 3: The next step would be to find a compatible BIOS. Visit your computer manufacturer’s website and there, you will have to find the latest BIOS that is compatible with your PC model number. 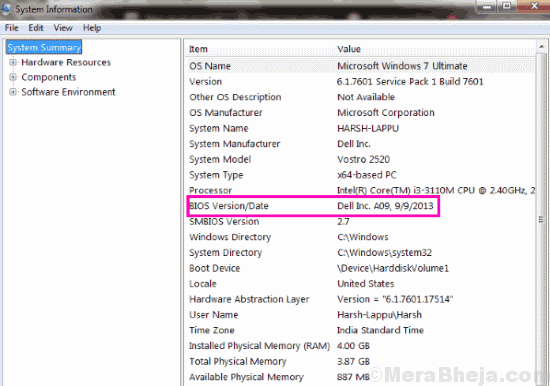 You can skip this method altogether if the latest BIOS version is same to the current BIOS version on your PC. In case, you find a newer version of BIOS, download it to your PC. Step 4: Temporarily disable any Antivirus running on your PC first. After that, run the BIOS installation file that you downloaded. During the update process of BIOS, you will find an option to backup current BIOS. Once the backup is complete, move forward with the installation of new BIOS. Installing BIOS take some time, so you need to be patient while updating BIOS. Wait till the update is complete, then reboot your PC. After the reboot, check if the error still shows up when you try to update Windows. A very less but considerable number of users also reported that removing peripheral devices did the trick for them. So, you can also try to remove any peripherals from your PC that are not absolutely needed while updating Windows 10. You can remove devices like Printer, Webcam, Scanner, Pen Input, Game controller, or any such USB connected devices. After removing these peripherals, restart your PC. After the restart, check if you get the 0xC1900101 Windows 10 error while updating Windows on your PC. The first few solutions would be able to solve the issue for you and you would be able to update your Windows OS successfully. But in case, you are not able to fix the 0xC1900101 error, then you must contact your PC manufacturer’s customer support. It might be possible that there are some internal hardware damages or errors that are causing this issue to occur.